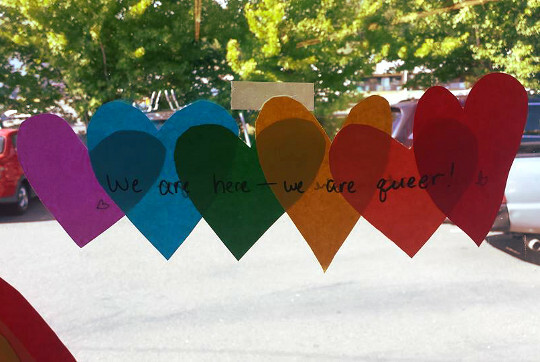 … the Olympia Food Co-op loves you! 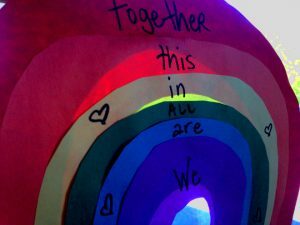 Many queer staff and allies are grieving the violence against people every day in this country. Native lives, black lives, brown lives, queer lives are lost every day. We stand in solidarity with our community through yet another tragedy. We stand in solidarity with the victims of Pulse, with the victims of hatred and intolerance. 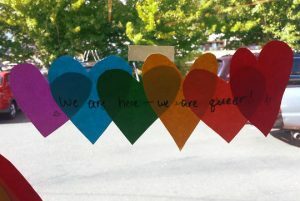 The community is invited to show it support by filling our store windows with hearts and rainbows with notes of support for the rest of June. You can find hearts at each store or you could bring a heart or rainbow you made at home. Let’s show some love because hatred is killing people.